My office keyboard suddenly died on me just when I have plenty of documents to do. Actually I don't want to replace this one as I'm very comfortable with it. Well some things never last and that includes computers and computer accessories. So now I have to drop by the mall to buy myself a new keyboard. Anyway I don't want to search for keyboard there so I browsed online for the one that I want to buy so I will not consume too much time. 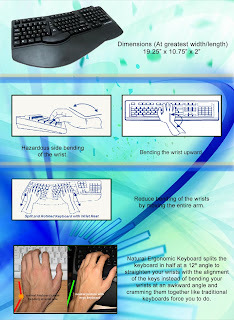 Since my usage for keyboard is a bit maximum I planned to buy ergonomic keyboard for ease of use and comfort. I saw one at cdr king which costs PhP480. This ergonomic keyboard allows your wrists and hands to be held in more comfortable position which is just perfect for people like me who uses keyboard for 8 hours. 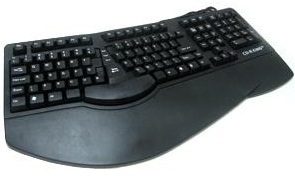 Other features include 5-key extended keyboard layout with hot keys, button-touch access to the internet and measures at 19.25" x 10.75" x 2" greatest width/length.